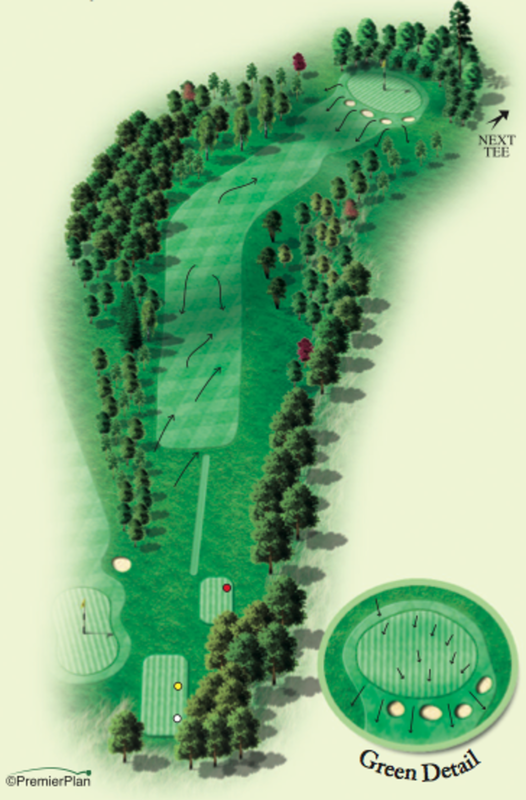 This hole is a dog leg to the right and any drive must be relatively straight off the tee to avoid trees on both sides of the fairway. The second shot is played over four guarding bunkers to an elevated green which is surrounded to the left and back by shrubs and trees. 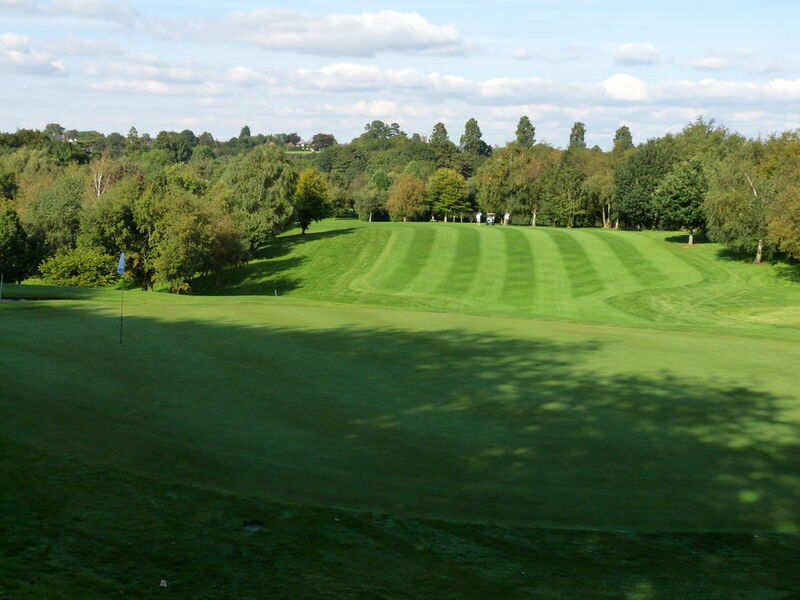 The green is very tricky with a severe slope running from back to front. To achieve a par on this hole is always a good score.